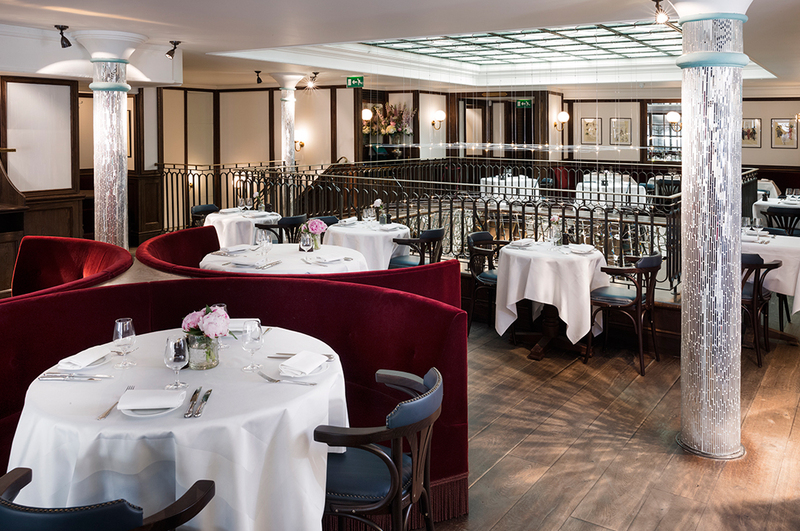 Located just off Trafalgar Square and around the corner from the London Coliseum, the all-new Les Deux Salons has a French restaurant on the first floor, while the ground floor features a cafe, bistro, epicerie and cave a vin. And, there are private dining and event spaces. 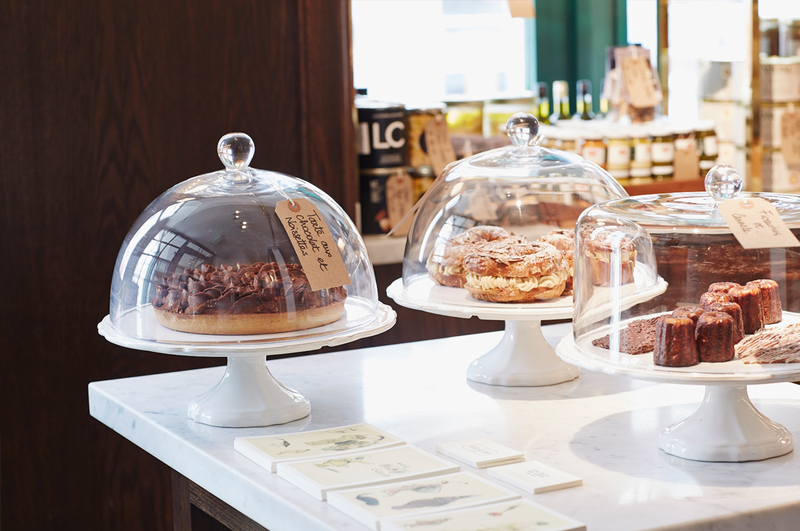 Open every day, from breakfast and brunch through to lunch, afternoon cakes and tarts, dinner and late supper. 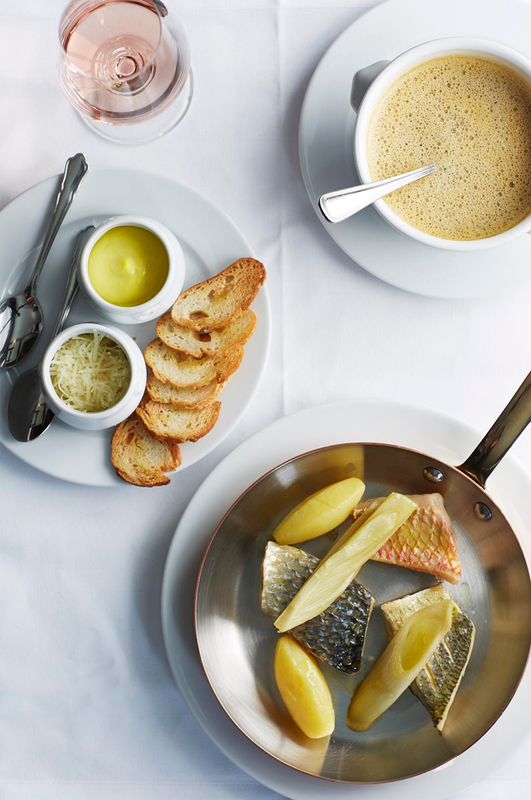 From a tray of oysters to entreca´te frites and, of course, great French cheese, the bistro menu is full of French favourites. 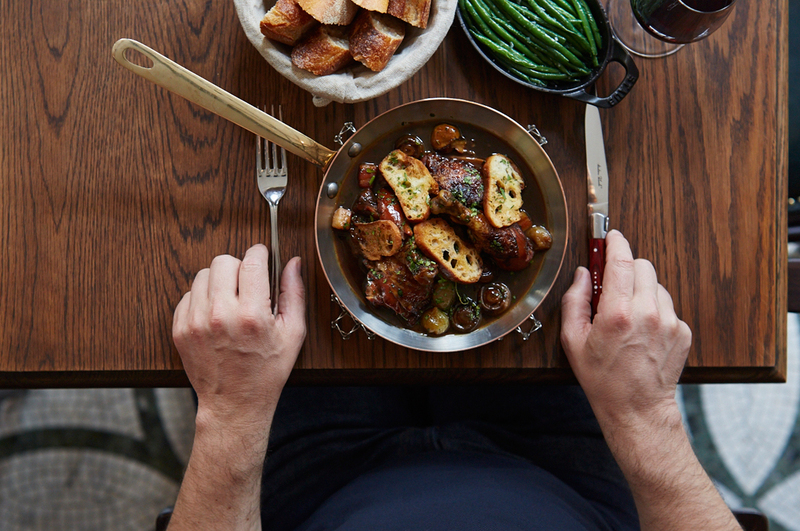 You can enjoy everything from a plate of charcuterie before curtain up to a three-course meal. 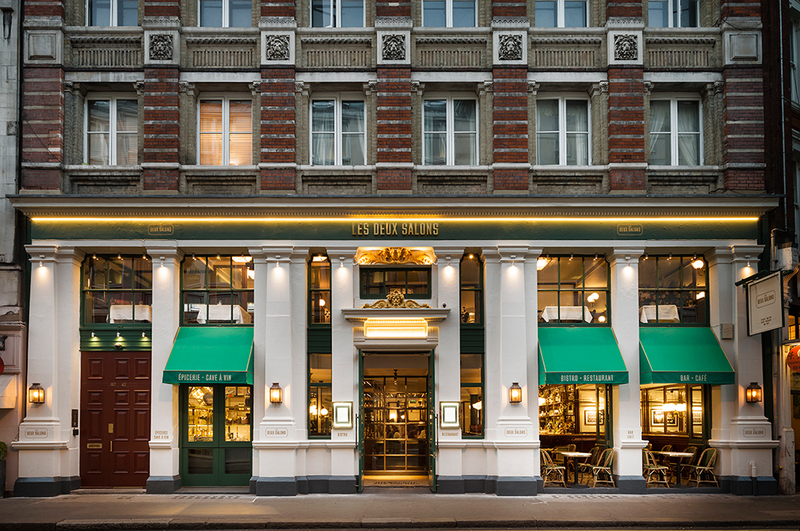 It’s a relatively large menu, offering a range of dishes from light and fine to gutsy and generous. 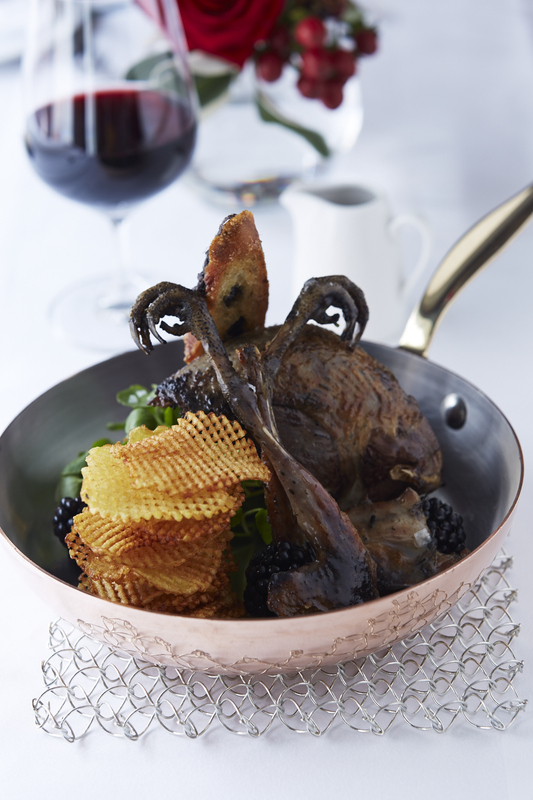 The all-French wine list includes over 20 wines available by the glass and 375ml carafe. Our flagship activity is on the first floor. Some dining tables are adjacent to the double-height atrium under the glass roof, with its recurrent pattern, while others look out over William IV Street. Whilst the menu and pricing is very similar to the Bistro, it is the environment that is the main difference. The restaurant is more comfortable and cosy, with more space between the tables, banquette seating and table cloths. It is more suited to leisurely dining or entertaining, with a choice of both individual and sharing dishes.